Make Mother’s Day one to remember! Show her you care by crafting mom (or the mother figure in your life) a beautiful hand knitted gift! Whether you’re a beginner or advanced knitter, looking for a quick craft or planning a big surprise, here’s a round up of some of our top patterns and knitting gifts for Mother’s Day! Because mom can never have too many shawls! Craft the perfect wardrobe update with this Corners, Edges and Stripes Shawl by Martina Behm which is just wonderful for busy moms on the go, as well as weekend walks and lunch with friends! The design features MillaMia Naturally Soft Merino, which can be knitted in a host of beautiful and elegant colors. For a gift that’s a little different, why not knit a beautiful vintage style purse? Created by Julie Partie in Debbie Bliss Rialto DK, this project is a timeless piece she’ll treasure for years to come! Show her you care with these gorgeous knitted love hearts using this FREE pattern from Amanda Berry! Use to decorate for Mother’s Day or as a stand alone gift. These versatile hearts can be made in different sizes and used to create keychains, jewellery and even table confetti! This design uses Paintbox Baby DK! You know what they say: what comes from the heart goes to the heart! Made from gossamer light Plume, the Ella jumper from Willow & Lark does require some planning ahead, but with heavenly results! Ethereal and luxurious, mom deserves a treat and the Ella jumper certainly hits the mark! Quick to knit, super snug (perfect for unpredictable weather) and reversible too! The subtle pattern creates a gorgeously textured stripe effect! This design is FREE to download and designed using Lion Brand Wool Ease Thick and Quick, that comes in a range of lovely colors for you to choose from! The perfect accessory when the weather is chilly and unpredictable! These knitted wristwarmers from Paintbox Yarns are perfect for popping in the handbag and bring a zing of color to any outfit! Knit them up in mom’s favorite colors using the delicious shades from Paintbox Yarns Chunky Pots. And if you’re not tempted enough the pattern is FREE to download! For busy moms who are forever on the go, this Not a Sandy Bottom bag from Dorothy Dean is perfect for taking to the shops, the beach and to a yoga class! This brilliant beginner pattern is FREE to download, and is perfect just ahead of Summer. If mom’s a seasoned knitter why not treat her to this beautiful encyclopaedia by Mary Jane Mucklestone, which includes 350 beautiful illustrations of Fair Isle designs and insight into this wonderful craft! 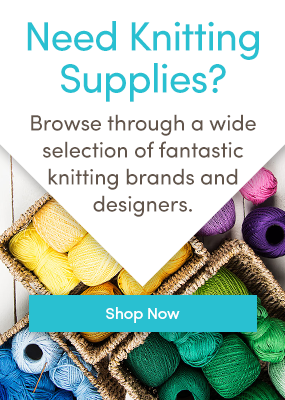 Of course, if you’re not sure what to get, why not give her a LoveKnitting gift card! Whether she needs some new knitting tools or could do with stash update. If we know mom, she’s a lady who knows what she likes – so why not leave it up to her to choose! ” -Stephanie Pearl-McPhee One of the women in the yarn store today commented that, “there is a difference between buying yarn and buying yarn to knit something. ” If you are not a knitter you will not understand this.